David, given that you have a few days, there are interesting places around San Francisco that you can go to like Sonoma vineyards, Carmel By-the-Sea where you can visit Detlef and Cindy Bittner in their pen store. And of course, meet Todd and the Pen Posse gang at the pen show (just saying). 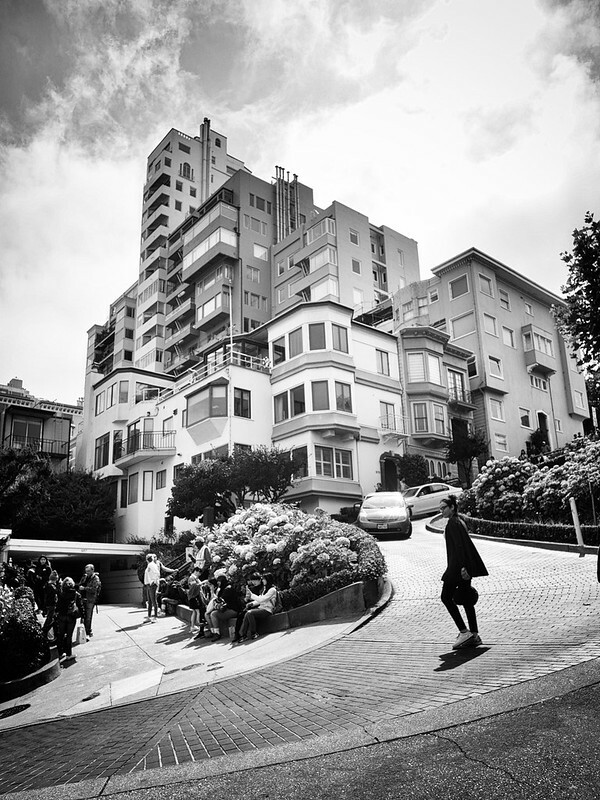 Within SF, I'd recommend to see the Lombard Street, Japan Town, Chinatown (especially if you like street photography), and of course, the Gold Gate which can be enjoyed from different points (different experience and views). Muir Woods are excellent day trip. 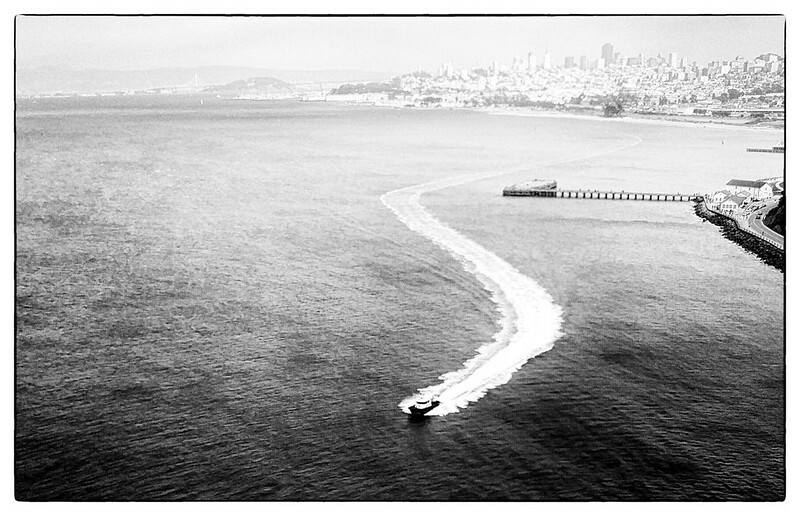 Some of my SF photos, sorry it's in B&W. Thanks, Will. Good suggestions. 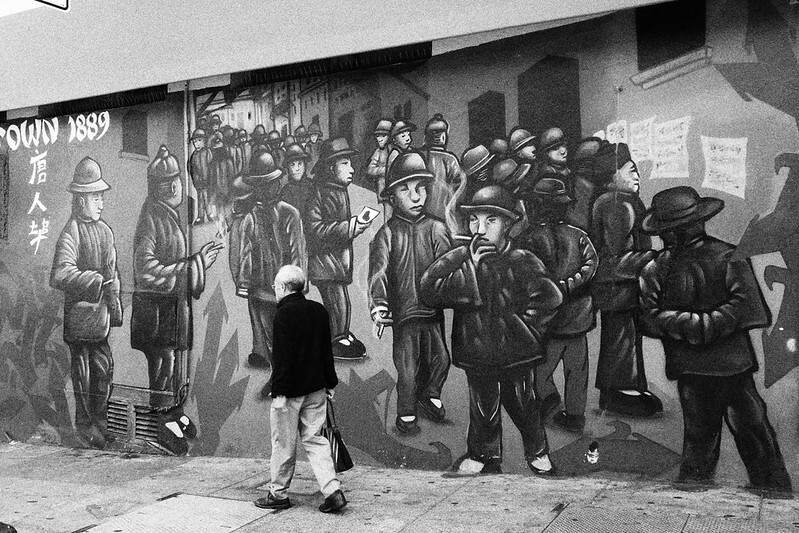 And I really like B/W photos (yours are excellent examples). Oh, given the relatively short time there (anywhere from 2 to 4 days) we will probably have to be compact in our choices to avoid schlepping for miles and miles. Pen stuff is not on the agenda. UK has pen shows too. Maybe worth a google to check dates and see if any fit with your itinerary? Sure, but I don't think any of them do. Besides which, our time in the UK is mostly fully booked up with family matters. I still have to find a reasonable hotel in SF yet that doesn't charge an arm and a leg. The US seems very expensive in that regard compared to where I am now (NZ) and where I come from (UK). Or maybe I'm just out of touch with such things. Well good luck, I hope that you find what you are looking for in terms of pens and hotels! San Francisco, and the Bay Area in general are insanely expensive. Finding something for less than ~$100-$150/night can be a challenge. Over in the East Bay, we try to book most visitors into the Hotel Shattuck. It’s an older property, but centrally located and very reasonable rates. AzJon, I am addressing that challenge right now! Cost will determine how many nights we are willing to stay, and location will also impact on this. We will figure it out. Being slow-witted as I obviously am - I just remembered that SF is has a strong connection with the Beat poets! Always been a fan of Ginsburg, Kerouac et al, despite their many flaws and often mediocre writing. The Bay - because it's there, and my home town (Plymouth, UK) sits on a most beautiful bay, thus I am drawn to such features. Japan Town (may even shift the travel dates to accommodate the Nihonmachi festival, and there is a Kinokuniya there too, so I can have a quick rummage for stationery). That should keep us entertained for a couple of days. City Lights Bookstore is interesting and on the outskirts of Chinatown. I personally recommend the R&R Lounge (sounds dodge, is actually very high end Cantonese) for some of the best food in Chinatown. Z&Y is also good. It is very reasonable to start near Lombard St. around 10 or 11 and walk down through Little Italy to City Lights Bookstore, then head to Chinatown for dinner. This of course depends on how much time you spend at each location. Japantown is much smaller than Chinatown, but you can still kill a number of hours there. Edit to add: Red Blossom Tea Co is in Chinatown in higher end Chinese tea is your thing. Last edited by AzJon; January 4th, 2019 at 06:42 AM. This was the Cherry Blossom festival, tons of people and good experience. Also, while you're there, don't miss Maido, which has more fountain pen selection than Kinokuniya. Funny thing, I've actually bought stuff from the SF Maido a couple of years ago. Online only though of course. Great pic! 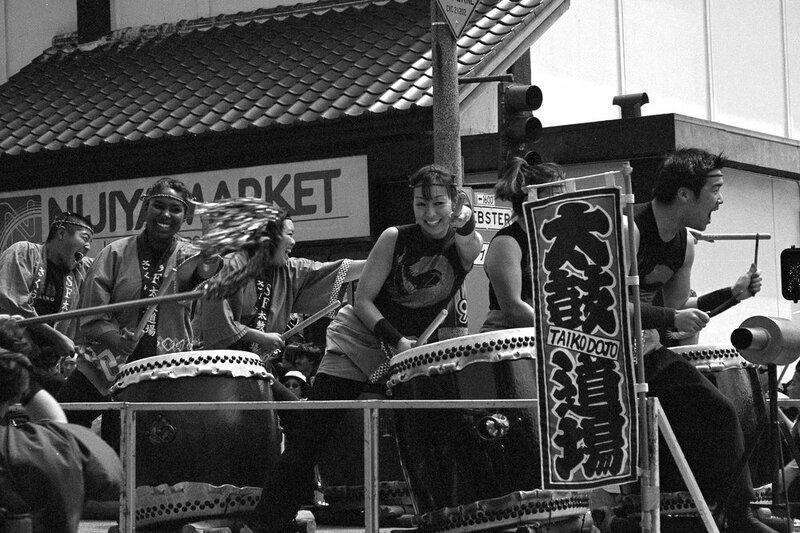 Before I was married I knew a girl in Tokyo (met when I visited the city) who was a member of a Taiko group. Bit frustrating. Still waiting on the funding to come through for this trip. Kicking heels in the meantime. Incidentally, there was no answer to an earlier question about calligraphy classes at the show. The website doesn't list any, and I know that Michael Sull sometimes goes to the LA show, which I understand is just sorta up the road from San Fran. So I was hoping he (or similar) may be there. I would be tempted to attend a class (if they would make an exception to include a distant traveller over their quota). Sorry to jump in on this thread, but I am also having a stopover in SF, timed to coincide with the pen show. I will be travelling in the opposite direction, arriving from Manchester UK on Thursday 22nd August, leaving Monday 26th Aug.
My guide book says that the BART system only goes as far as the airport. Does it reach to Redwood City? My idea was to use Amtrak to Belmont station, and walk to the hotel from there. Is this feasible? CalTrain is the best bet to Belmont but it is a bit of a walk. There is a shuttle from SFO to the Pullman but they check your room booking. Stay one night at the Pullman? Thanks Farmboy for the information and suggestion. I should arrive at SFO around 2pm, and had thought of staying Thur evening at the Pullman. But the pen show doesn't open to the general public until Friday afternoon, so it means hanging around the hotel Thur evening and Fri morning, which I see as wasting good sightseeing time. Apart from having to pay premium admission to the show on Friday. I will continue to investigate my options. Further ideas welcome. I’d suggest staying in the Pullman on Saturday night since there is a party after the show closes. There may be other options, I’ll discuss with the elders. Thank you for the invitation to the party. It sounds fun. How does it compare with Saturday night in the Castro district? I'm not sure anything compares with Saturday night in the Castro.